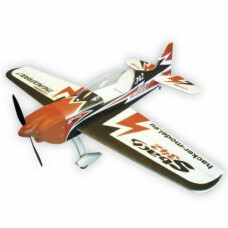 Semi-scale high performance model for aerobatic flying. Airplane is made from EPP “almost unbreakable” material. 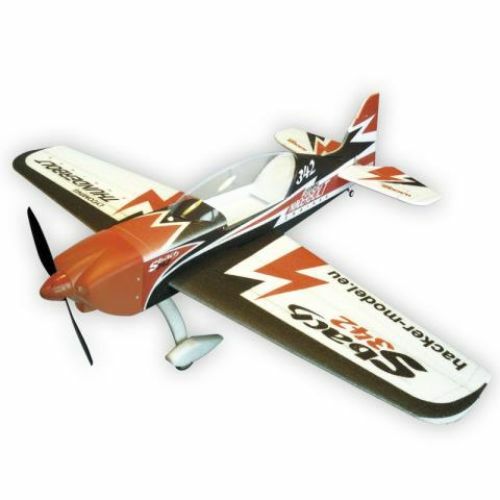 Contents: Coloured Fuselage, Wing and Horizontal Stabilizer, Landing Gear, Wheels, Carbon Struts, Carbon Pushrods, Complete Hardware and Instruction Guide. Brushless Electromotor from 250 Watt, max.1200 KV, Speed Controller 40 A, spinner 50 mm, propeller 11/4.7 ”, accupack LiPol 3s from 150 to 2500 mAh, CA Glue thin type, Activator Spray.